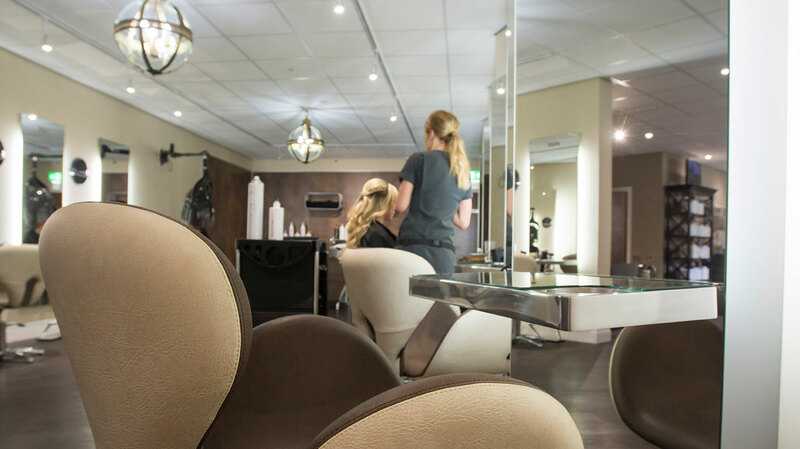 Opened in July 2016, Beau Monde is a stylish modern day spa and hair salon, part of the family-run Stablewood Leisure complex. The 11-metre pool, with its gleaming aquamarine mosaic tiles, is set in a double-storey barn complete with beamed ceilings and large windows. There’s a steam room and sauna, while the relaxation room has a faux fire and fake fur rugs. 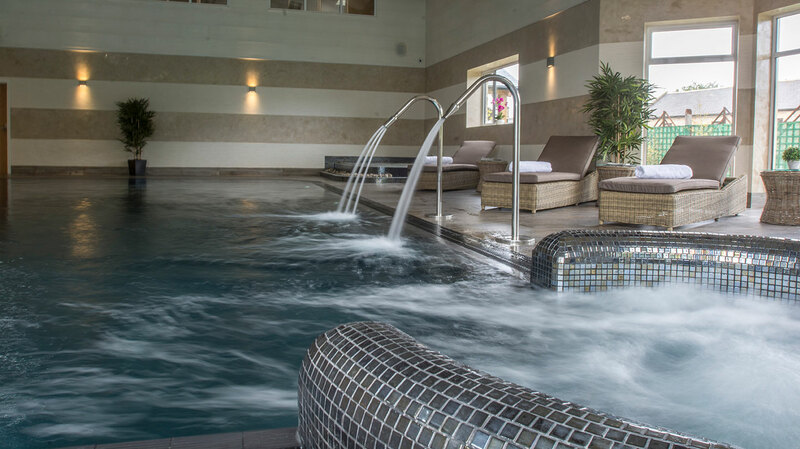 Enjoy a Temple Spa treatment and afternoon tea served in the Quiet Room, overlooking the pool. 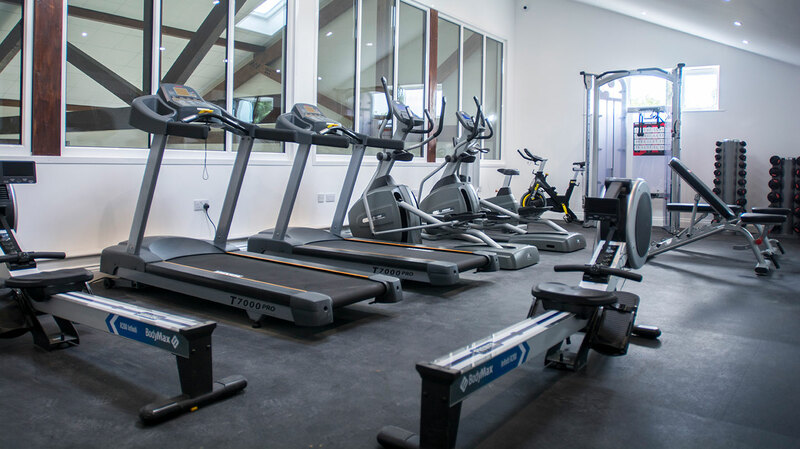 Beau Monde is a stylish, modern salon and day spa in rural Northumberland, part of the family-run Stablewood Leisure complex. You can make use of the quaint self-catering cottages, as well as the pub and restaurant in the village. You enter the spa through a large hair salon. We were unsure if we were in the right place but staff soon greeted us and took us through to the spa, which feels a bit like Doctor Who's TARDIS (it is much larger than appearances would suggest). In the spacious changing rooms, individually named, coded lockers offer plenty of space to hang your clothes. Inside, you'll find a fluffy white robe, a towel, slippers and complimentary bag of Temple Spa shampoo, conditioner and body lotion -- a nice touch. There's one private changing cubicle, two showers containing shower gel (bring your Temple Spa bag of goodies into the shower with you) and a vanity station with a hairdryer. Guests with children can also make use of the child-friendly changing room. A double-storey barn complete with beamed ceilings and large windows is the setting for the thermal experiences. You can bubble away in the hot tub or swim in the 11-metre pool, with its attractive aquamarine mosaic tiles. Orchids, large planters and storm lanterns give the space a spa-like feel. Grab a magazine and a cup of water, and relax on one of six wicker loungers. Smart mosaic tiles adorn the steam room which is roomy enough for five. Here, large windows allow you to look over the pool as you heat up. Or try the wonderfully hot small sauna before cooling down in the experience showers outside. We loved giving our shoulders a pummelling in the swan-neck fountains before having our cares massaged away in the foot spa. With its faux fire and low lighting, the Relaxation Suite at Beau Monde is the space for a post-treatment snooze. Munch on a fresh fruit platter, drink cucumber-infused water, or settle down on one of three wicker loungers laden with fake fur. Beau Monde also has a hair salon using Paul Mitchell products, a mani/pedi studio, and a gym and fitness suite. 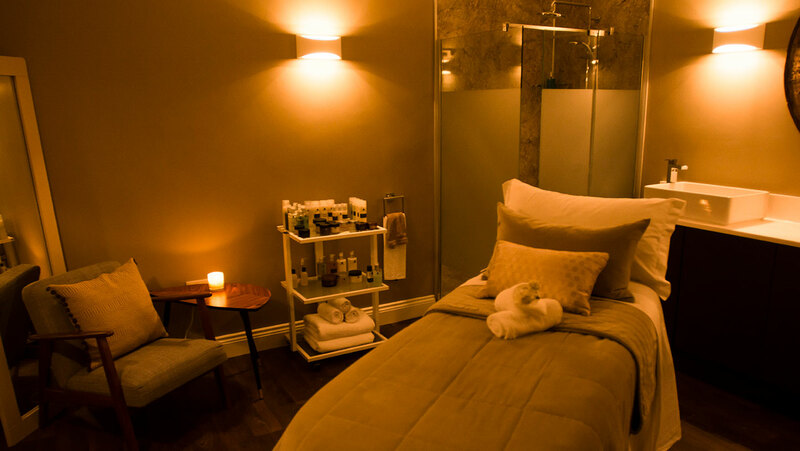 My therapist, Lauren, found me snoozing in the relaxation room and led me to a treatment room for my Temple Spa My Kinda Mood treatment (90 minutes, £125). Sadly, a humdinger of a head cold meant that my mood was not the best on the day of my visit. Sensing this, Lauren quickly devised a plan to help ease my sniffing and snuffling. Getting to work, Lauren personalised my treatment using a combination of products designed to boost my immunity while also improving my mood. The massage Lauren performed was heavenly and did wonders for my aching joints. Lauren followed up the massage with a thorough facial which was quite a feat considering how grey and dehydrated my skin looked. Lauren worked hard at cleansing and massaging my skin, using a thick rehydrating mask to boost moisture. The end result? Much brighter skin -- and a much more relaxed client. Beau Monde Spa has a huge treatment menu which includes facials, wraps, body scrubs, purifying mud treatments, infusions, hot stone massages, express therapies and detoxes. It also offers finishing treatments (think waxes, eyelash tinting and manicures/pedicures) as well as tailor-made choices for mums-to-be and men. We opted for afternoon tea which a spa butler served in the Quiet Room, a chilled space overlooking the pool. Fresh sandwiches, scones with clotted cream and jam, and cream-filled brandy snap baskets were rather delicious but more than we could eat. Opt for a lighter cream tea of just scones and small cakes if you aren't feeling too hungry. There's a help-yourself snack bar in the Quiet Room, too, with a good range of drinks, snacks and salads for guests who don't fancy afternoon tea. The design: Beau Monde is a stylish and calming spa with some lovely touches. The friendly staff: Nothing was too much trouble. The lack of outside space: Since the spa is set in the countryside, it would be good to be able to sit outside and enjoy the views. Solo spa goers would find Beau Monde comfortable and relaxing, while small groups of friends could enjoy a quiet catch-up and a treatment. Anyone after a makeover: Beau Monde has mani/pedi stations and a make-up stand in the hair salon; if you want some finishing touches after your spa day, book in advance. 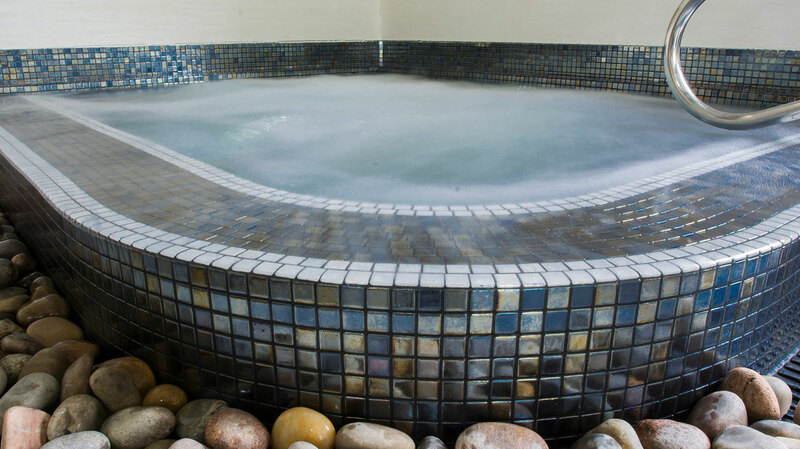 Hen parties or groups can book the entire spa for themselves. We awarded Beau Monde a Good Spa Guide Bubble Rating of 5 bubbles. Beau Monde may be a small spa but it has a good size swimming pool, a variety of thermal experiences, and a comprehensive treatment menu. The spa feels both intimate and friendly, and is a perfect place for a quiet escape from everyday life. Sybaritic Spy visited in September 2018 and awarded it 5 Bubbles. The Apple Inn is a modern gastro pub in the heart of the village and The Apple Core opposite serves modern Mediterranean style food. Self catering cottages are available close by should you wish to extend your stay.